It's been going on for quite a while now. Months, maybe even years. Every time I sit down to write a blog post, a weight settles in around me. My head gets fuzzy. My fingers slam on the keys and I produce pure inconsistent words that stay mushy, even after rounds of editing. Everything seems like it's set on fast forward when I write, and so all these good post ideas I have never get published because they lack the quality I wish to produce. There are the rare moments when the muse strikes and the floodgates open. My heart pours out and a piece of myself is written in a way that leaves me with a feeling much too close to pride. But a majority of the time I struggle. I really want to break this cycle. So from now on, instead of MOVING REALLY FAST AND PRODUCING ALL OF THESE W O R D S . . . I want to slow down. And. Breathe a little. Take the time to form thoughts. Develop thoughts. Polish thoughts. We live in a fast-paced world, my friend. It seems like the pressure is on 25/8 and busy is something to be proud of and a number is more important than quality. So let me remind you that going back to the basics is centering. Return to the breath of whatever it is you're doing that has become so routine that you forget you actually enjoy the process of it. Because you may find that the love for it is not lost, nor has it been stolen. It's just been buried under the weight of expectation and lack of focus. Welcome to the new Self Known. I have the same kinds of feelings every time I try and write my novel - struggling to get words on the page, constantly editing, having too many expectations and pressures put on writing those words. I really relate to this! 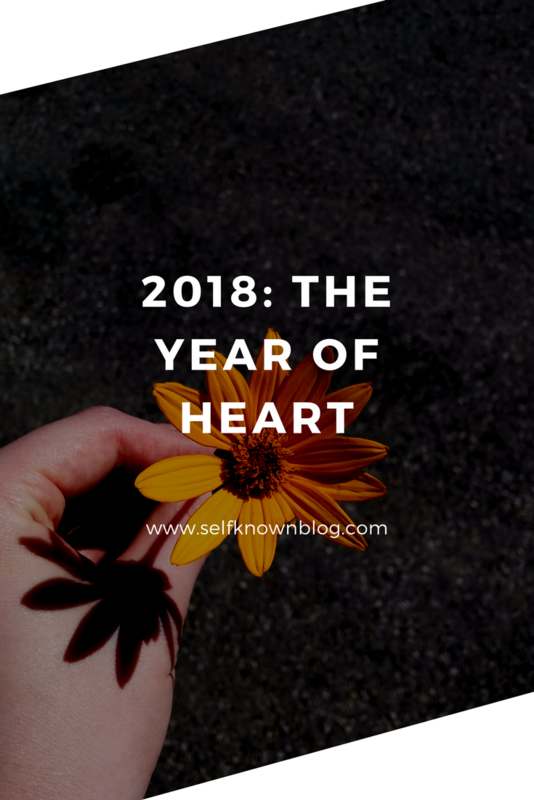 Love the blog and hope 2018 is a great year for creating and writing!! I feel that way, too, that life goes so freakishly busy and I can’t seem to find the right words to say... let’s do better this year, Rosie. I get that. I am really excited to see were you take your blog this year. I have a hard time with slowing down too. Wishing you the best this year! I have the same problem, I am never happy with my posts. Hope we can break the cycle. Cannot wait to see your blog this year. Good luck in 2018!